Oilers Talk: Was it Dallas Eakins' Fault? Oilers Talk: Was it Dallas Eakins’ Fault? The Edmonton Oilers improved play as of late has sparked an interesting question: did they wait too long to change the coach? Believe it or not, many are wondering if a full season under Todd Nelson would have put this team in actual playoff contention. For the 2014-15 season, we’ll never know. But one thing is for certain, the team is performing much better now than they were at the beginning of the year. The powerplay is better, running at a clip of 21.5%, up from the 12% effectiveness under Eakins. And as for the players, well the stats speak for themselves. 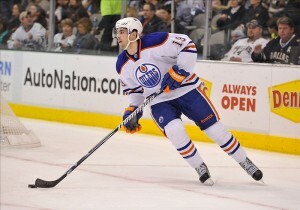 Many fans and pundits had given up on Nail Yakupov, seeing him as nothing more than trade bait and a first round bust. And while he still has a ways to go, there is no doubt he has found a comfort level not only with his linemates, but confidence with the coaching as well. We’ll never know how Dallas Eakins handled Yakupov behind the scenes, but there was an element of fear in his game. Fear of making mistakes, fear of getting benched. That’s not the best way for a young player to develop in this league. A lot of Yakupov’s improved play has to do with his center iceman Derek Roy. The two have built a chemistry and it’s showing on the scoresheet. But it’s abundantly clear that Yakupov has a little more leash under Todd Nelson than the previous regime. And when a player feels free to play his game, the results are usually positive. Now it’s not as if Yakupov is suddenly a Rocket Richard winner, but it’s his body language on the ice. It’s his demeanor on the bench. There’s a difference. Last season, in 63 games, Yakupov had 11 goals and 24 points, and was a minus -33. So far through 59 games this year he’s got nine goals and 20 points. He’s a minus -27 on the year, but the past few games have been an improvement. He has points in six straight games, including four goals, and his plus/minus hasn’t been worse than a minus -2 since January 13th. Again, he isn’t setting the world on fire, but watching him night in and night out you’ll see a different guy. He wants it more. And he’s always been excited about the game. But he looks more determined now than ever. And at just 21 years old, there’s still plenty of time to fix the warts in his game. Remember when Justin Schultz tore up the AHL in the lockout season of 2012-2013? Guess who his coach was. Todd Nelson was able to get a lot of Schultz in Oklahoma City, and the Oilers are hoping the same thing can happen now. Schultz’s struggles have been well-documented. His defensive game is shaky, he hasn’t been the powerplay quarterback they hoped for, and he looked scared to carry the puck. 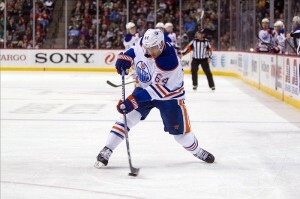 But, similar to Yakupov, he doesn’t look as afraid to make mistakes like he has in the past. No one knows exactly what Schultz will be or what his ceiling is, but his ice time has steadily climbed the past few games, and it’s not been all bad ice time. A lot has to do with his d partner Oscar Klefbom, who is not at all looking out of place in the NHL. Nelson seems to have implemented a more well-rounded defensive structure. He has a good understanding of the strenghts and weaknesses of his players, and he gives them an opportunity to thrive. And really, that’s what you want a coach to do. The best coaches know what makes their players tick, knows how to get the best out of them, and knows how to create an environment that plays to the strengths of the roster. Nelson has a record of 10-10-3. Dallas Eakins had only won seven games this season. This isn’t a roasting of Dallas Eakins. I still don’t believe he is necessarily a bad coach, but I do believe he wasn’t able to identify what his team was, and what was expected of them. I don’t believe he was the right voice in that locker room. For whatever reason, the players didn’t respond to him or his tactics. 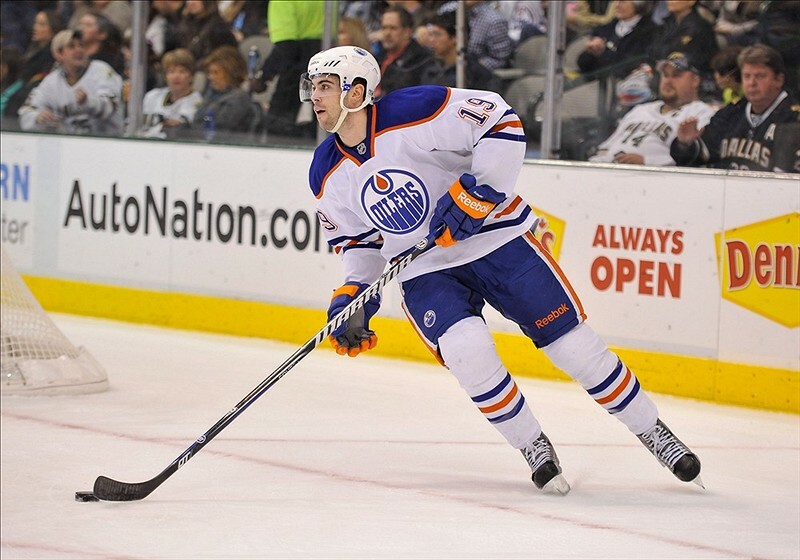 Jordan Eberle is a good example of a guy who has really come alive lately under Todd Nelson. He’s got 21 points in 23 games since Nelson took over and that’s no coincidence. The Oilers look better yes, but there are still some of the same mistakes and weaknesses that were there under Eakins. They still need to evaluate what they have, and make important roster decisions. The danger however, is to look at Nelson as the anti-Eakins, rather than looking at him for who he is. People may be simply comparing him to the previous guy and citing past failures as a reason why he should stay behind the bench. However, I do think the Oilers should remove the interim tag from Todd Nelson’s name. Because regardless of what Eakins did or didn’t do, Nelson appears to be doing a better job.